Exquisite, long-spurred, blossoms. These blooms are truely gigantic and they are weather resistent too, standing up to heavy rain etc. Hybridized for their compact habit and large flowers, these are one of the most showy of all aquilegia. Aquilegia is especially lovely when allowed to naturalize in shady, woodland borders. They also have excellent potential as cut flowers, lasting up to 2 weeks in a vase. 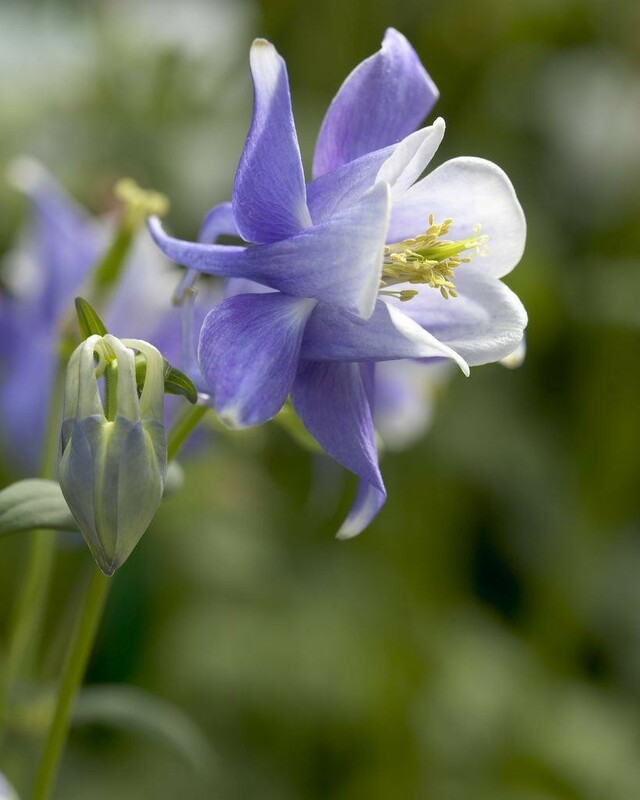 Columbine is easy to grow in loose, average to rich, well-drained soil. They can be grown in full sun or partial shade, though light shade will prolong the flowering time. In the autumn, cut plants back to their basal foliage. In the spring, remove only the dead leaves. Supplied in 1 litre containers.